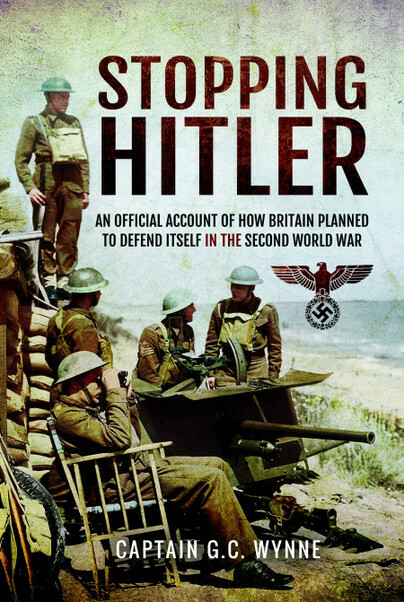 You'll be £10.00 closer to your next £10.00 credit when you purchase Stopping Hitler. What's this? After the unprecedented death and devastation of the First World War, few people imagined that such a conflict could ever happen again. Though the belief that it was the 'war to end war' was to be shattered within a generation, in the immediate aftermath of the First World War, it was expected that international disputes could be settled by arbitration through the creation of League of Nations. Consequently, the British Government concluded that there would not be another war for a least ten years and therefore the country's armed forces could be correspondingly scaled back. The rise of Nazism in Germany in the 1930s, however, prompted politicians and generals to contemplate the frightening prospect of another world war. The Chiefs of Staff of the three Defence Services were instructed to bring Britain's armed forces up to a standard where they could resist a revitalized and powerful aggressor, and to put in place plans for the defence of the country. When that war became a reality, the Chiefs of Staff then had to devise schemes to prevent a German invasion and, as the war progressed, to counter the bombers of the Luftwaffe and the flying bombs and rockets that followed. This Official History of these plans was prepared for the War Office after the war and provides a general account of the plans made for Home Defence during the war period 1939-1945. Gives us a detailed insiders view of how the British military prepared to cope with the most serious threat of invasion since Napoleonic times. A detailed study of the preparations and actual measure taken to prevent invasion during the Second World War.